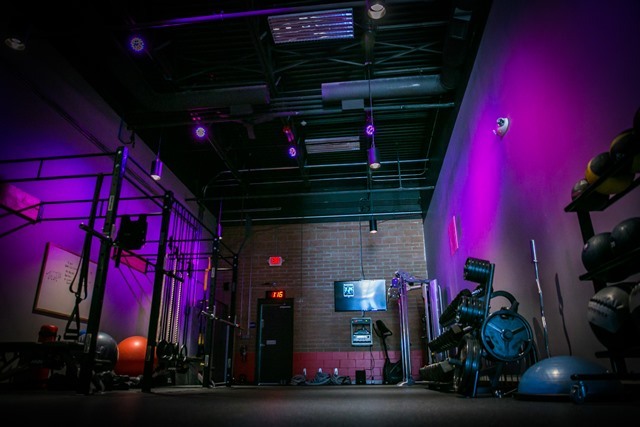 The goal of Rock City Fitness is to offer a creative, challenging, focused environment that motivates clients to obtain new levels of fitness and self-confidence. Rock City Fitness is an exclusive studio that specializes in 1-on-1 and small group personal training. All workouts are by appointment, with a trainer and tailored to your goal. You will always do the right workout at the right intensity! We are confident that our unique and recognizable brand raises the bar for personal fitness training. This is accomplished by offering signature programs that aren't available anywhere else and appeal to many types of clients. We want to help you achieve your greatest potential as a person. We believe you have what it takes to do great things! We offer a complete experience of Great Trainers, Great Programs and a Great Environment. Rock City Fitness trainers are qualified, experienced and talented. Our trainers posses high character, integrity and professionalism which we believe is critical to the success of RCF and our valued clients. Rock City Fitness is your destination for enhancing personal fitness. We utilize the latest technology and equipment to create cutting-edge programs. All of our programs are designed to achieve results never considered possible. Clients are directed through a concise consultation and training pathway. Each client learns how Rock City Fitness can help achieve their specific goals with consideration of experience, fitness level and budget. We offer distinctive 1 on 1 training, group training and web-based training programs. RCF programs include fitness competitions and events. Clients have the chance to compete for a spot on the "fitness challenge leader board" and "wall of fame". We organize training and team participation in local fitness events such as road or obstacle course training. It's all about working harder and continually moving forward. That's why both our group and 1-on-1 workouts have progressive, multiple training levels. 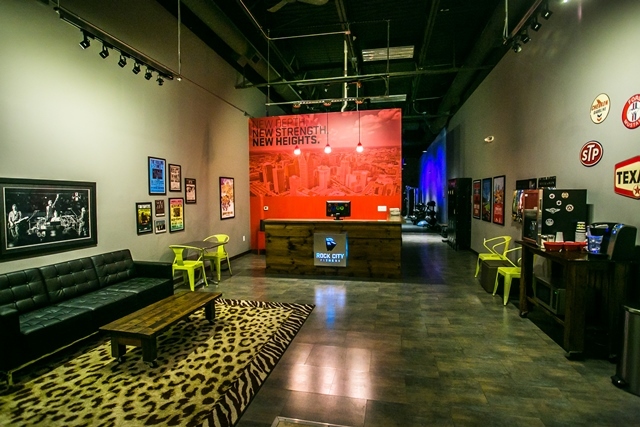 Rock City Fitness offers a facility and environment that is full of cool vibes and amenities. 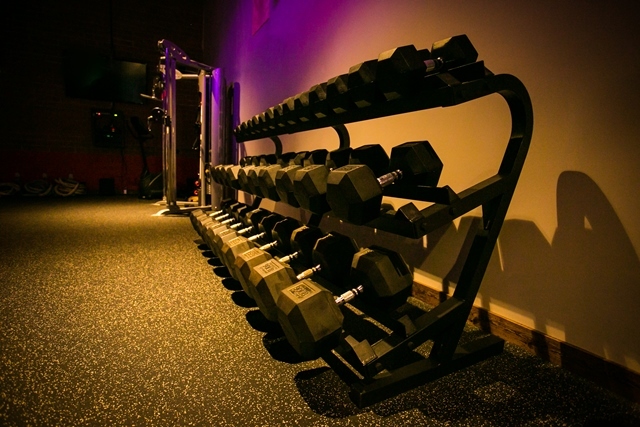 The materials, lighting, sights and sounds - inspired by rock concerts - tell you this isn't your average gym. Come on in and soak it up! Not only do we offer a great workout floor, filled with the latest equipment, but also a comfortable lobby area featuring seating, tables, TV's, WiFi, retail area and refreshment station. Rounding out the offerings are a shower, changing rooms and lockers. 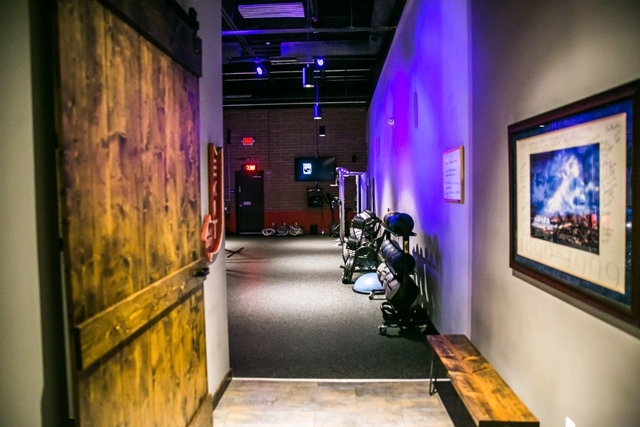 We feature an experience that is very personal, differing from that of a high-volume commercial gym. Our trainers look forward to making your experience the best possible. Clients have the opportunity to become part of the Rock City Fitness family by discussing workouts, encouraging and supporting each other. We've thought of everything. We want you to feel at home. We want you to keep coming back! 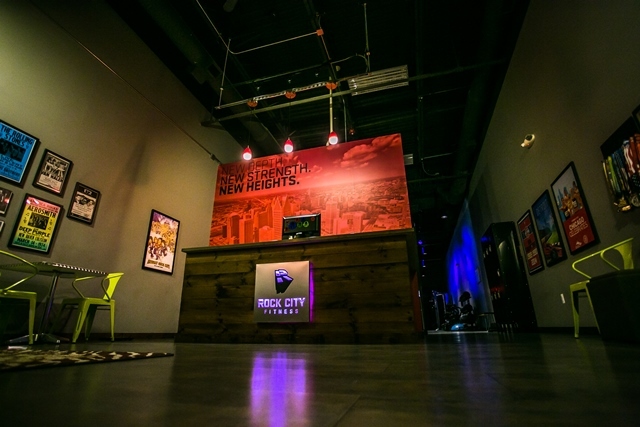 Rock City Fitness has a long-term vision of impact and excellence. We strive to impact not only individual lives, but the communities we serve. We see our role in being part of increasing the overall health and vitality of our neighborhoods and communities. We desire to be a trusted local resource for wellness, health and fitness. We have three heart standards that we live by: Integrity, Personal Service and Standard Quality of Training. RCF is operated with sound moral character and honesty. We are committed to meet or exceed all professional standards established by fitness industry leadership. RCF highly values the role of families, therefore implements family friendly business practices. We are concerned with the overall wellbeing of the person not the glorification of the body. RCF highly values the experience and treatment each customer receives. We know that each client has a unique set of circumstances that has led them to a relationship with RCF. Our goal, within the scope of our practice and care, is to help clients improve their overall quality of life. We hope to bring out the best in each client by cultivating an environment of making positive lifestyle choices. RCF cares very much about quality of personal fitness training. RCF is committed to obtaining the appropriate, industry leading personal training credentials. We are diligent to maintain and increase our knowledge in an ongoing basis through professional continuing education activities. Furthermore, RCF has developed a distinctive approach to fitness training. All trainers will be “RCF certified” in this process to ensure uniform and consistent training programs for all clients. We want to make great opportunities for trainers to learn, grow and succeed in the fitness industry. This is a win/win situation for both trainers and clients! Training with Rock City Fitness means getting results. Our motto says it all: New Depth. 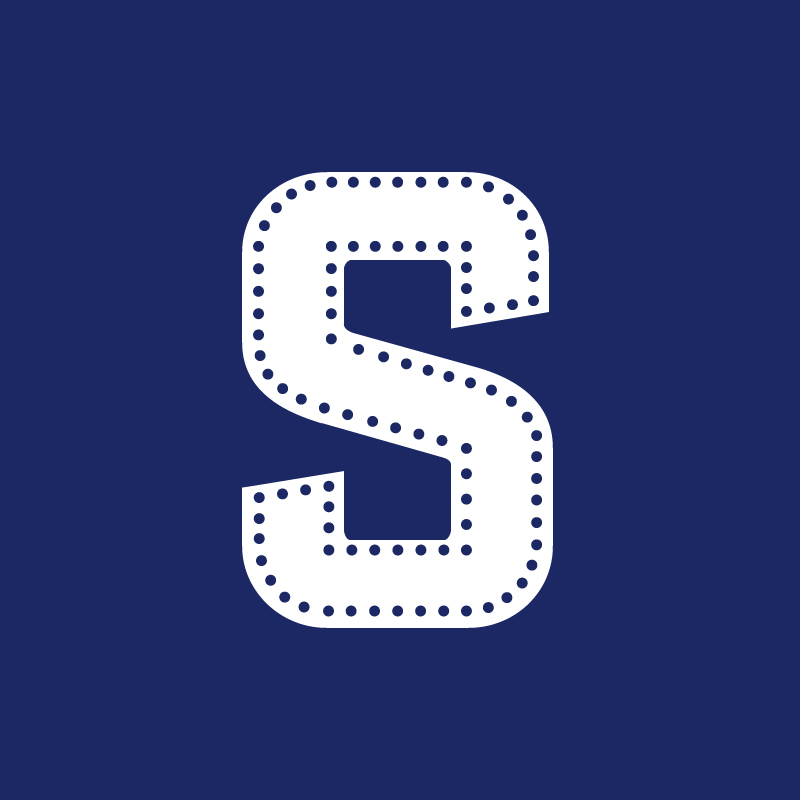 New Strength. New Heights. Our goal is to inspire and help clients dig deep and reach new levels of fitness. 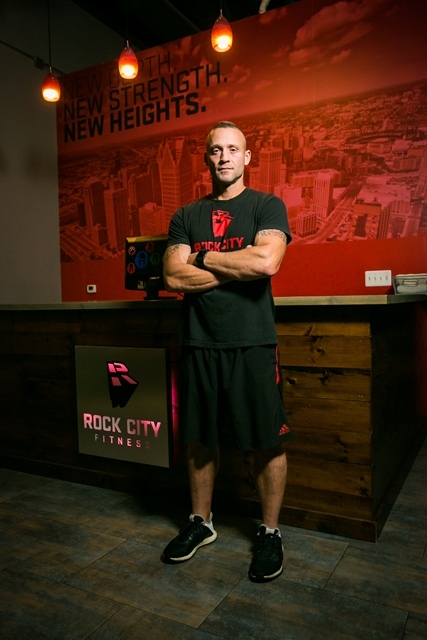 Rock City Fitness uses a signature 3-fold approach to make this happen. Our 3-fold approach consists of Movement, Metabolic and Mind. We believe that it takes progress in all three of these areas to be successful. refers to exercise and progression. The objective of Movement is to achieve results with strength and cardiovascular training. Rock City Fitness uses a system to progressively increase exercise challenge and intensity. Workouts are organized into phases designed to overcome plateaus and even help prevent injuries. Exercise sends signals telling your body to change which leads to results. Frequency + Intensity = Increased Fitness Level = RESULTS! refers to calories and metabolism. The objective of Metabolic is to achieve results through managing calorie intake and expenditure. Weight loss or appearance changes are the net result of calories in vs. calories out. Rock City Fitness designs programs that help manage key nutritional and exercise factors. Our programs will boost your metabolism, burn more body fat, build muscle and transform your body! Fewer Calories In + More Calories Burned = Transformation! Mind refers to attitude or mind-set. The objective of Mind is to achieve results by embracing a winning attitude. Client and trainer are equally responsible to make this happen. We believe that you should always do everything to the best of your ability. The Rock City Fitness mind-set consists of five parts: commitment, effort, excellence, sacrifice and perseverance.